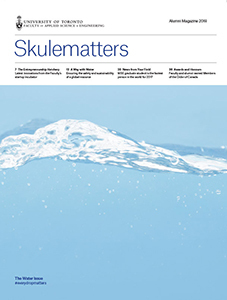 Since 2005, the Alumni Mentorship Program has fostered valuable relationships between Skule™ alumni and students. Alumni Mentors share their knowledge and experience and provide students with the encouragement and insights they need to get a great start to their careers and begin to set a course for the future. They enhance students’ educational experience and give back to their alma mater in a unique and rewarding way. Mentors often also learn from their bright young student mentees as they help them navigate important decisions at a critical time in their lives. The program is open to undergraduate (including Professional Experience Year internship participants), graduate students (MASc, MEng and PhD) and alumni who graduated more than one year ago. Matches meet at the program’s kick-off event held at the beginning of the fall semester. From October through March, mentors and mentees connect informally as they wish, and all matches gather at several program events planned throughout the year. Alumni are welcome to join the AMP at any time. Mentors who are not matched with a mentee formally in October will be called upon over a dozen times throughout the year for one-off events related to mentoring students in a professional development setting. Students next chance to join the formal AMP will occur again in August and September of 2019. All participants are required to be a member U of T Engineering CONNECT. Register for the September 19th Information Session. The session will be recorded for those who are unable to attend. Explore CONNECT using the Directory. In the ”Affiliations” filter, select ”Formal Alumni Mentor’ to begin your search for a match. Ask one, two or three alumni in that category to be your formal match by selecting the “Request Mentor” button on their profile page. Write an efefctive message to them to ask for the connection for AMP. Note the program calendar commitments displayed below. unable to attend in person? Select events will be live streamed. Notifications will be sent out prior. All year long, with at least seasonal frequency: Update your CONNECT profile – add in some new details about yourself; post a brief description of your experience, background and interests. Between now and October 10, search the Directory in CONNECT to research and consider which alumni in the ‘Affiliation’ filter of the Directory labelled as ”Formal Alumni Mentor” would be a positive match for you. What could you learn from a variety of graduates and various professionals? Make a short list. 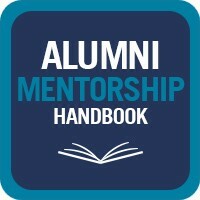 Pick one ”Formal Alumni Mentor”and select the “Request Mentor” button. Allow for a time ”buffer” giving them reasonable time to reply within a business day or two. If they do not reply try them by another contact method (LinkedIn details in their account, direct email, CONNECT messaging system, etc…) If three days pass and there is no reply move on to the next ask. Once an alumni accepts your requests, the ‘get-to-know-them’ stage begins. Share details about your work and goals, history and aspirations, and ask them questions about theirs. Stay mindful of the dates on the AMP webpage (this page) – book mark it. Add the dates to your calendar. Note the program calendar commitments displayed below. If you live outside of the Greater Toronto Area and are unable to attend in person, some events will be live streamed. Notifications will be sent out prior. Update your CONNECT profile – add in some new details about yourself; post a brief description of your experience, background and interests. 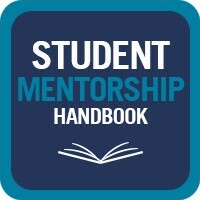 Between now and October 10, student mentees will formally request mentorship of you. Accepting their request will be your commitment to the program and to their learning outcomes for 2018-19. You are welcome to take on more than one mentee if you wish to. The committee recommends accepting one if this is your first year participating. Stay tuned to your inbox and accept or decline requests for mentorship within 48 hours or sooner. The students are being instructed by us to move on to another alumni mentor if it has been over 3 business days. Tuesday, October 23 | 7 p.m.
Light refreshments will be provided. More details will be posted in September. Mentees select one Leadership Lab to attend, and reflect on the learning outcomes with their mentor post event. A guided reflection outline will be provided by the AMP Committee. An ‘’Improve your Online Presence’’ workshop on strengthening your online brand. Make effective, positive changes to your professional development and social media accounts. Learn how to make the web work for you! Hosted by the U of T Career Centre, The Engineering Career Centre, Alumni Relations and YNCN.